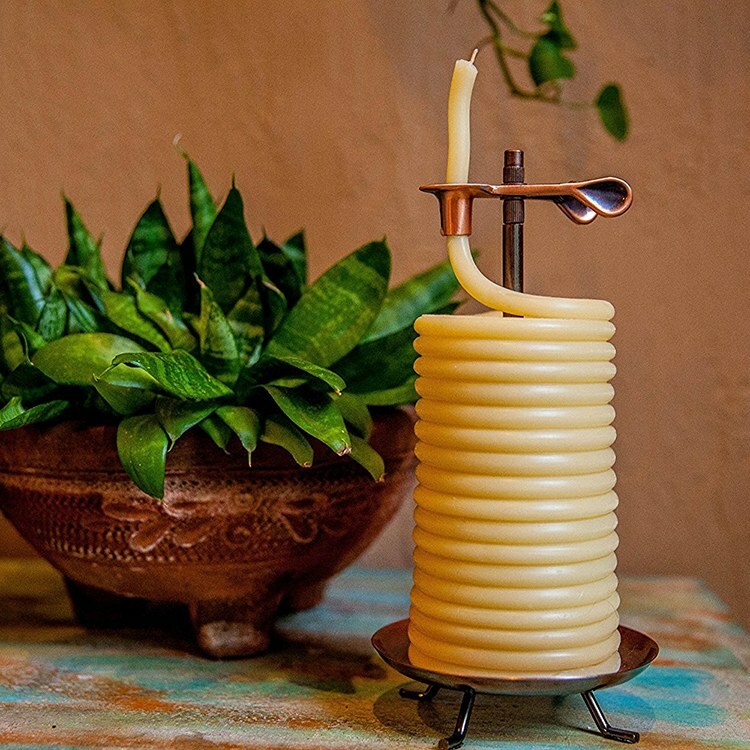 This innovative, coiled beeswax candle used to be known as a "courting candle." Back in the 1600s, protective parents used coiled candles to limit the amount of time prospective suiters could spend with their daughters. Candle by Design did away with the outdated ritual, but kept the beautiful design. The cotton wick burns 20 minutes per every inch that you pull through the clip. You set the time, and then it'll actually go out by itself. 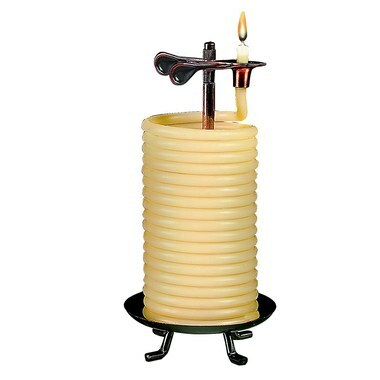 Instructions: Feed the end of the pliable candle into the clip, candle will burn for 20 minutes per inch of candle above the clip, up to three inches at a time. When the candle burns down to the wick, it will self-extinguish.